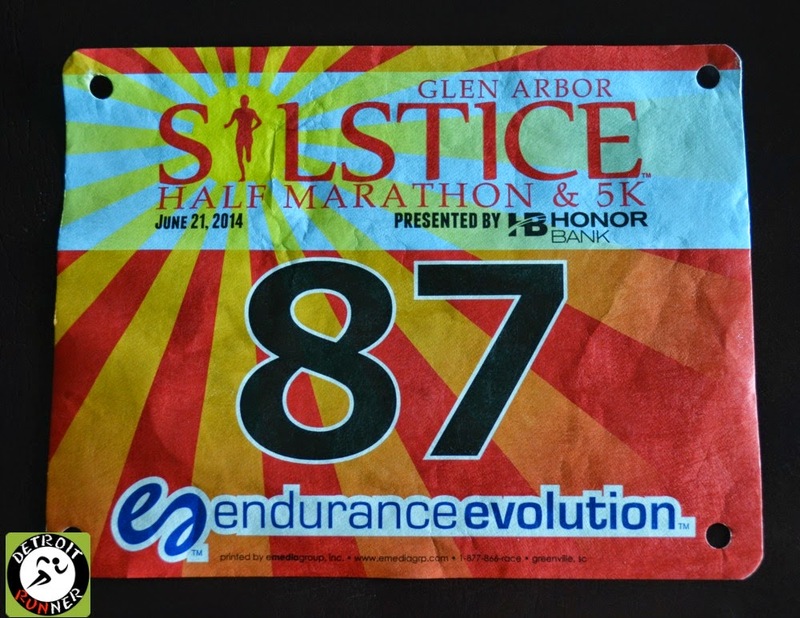 First time running the Glen Arbor Solstice Half marathon. This was a well organized race with a well marked course. 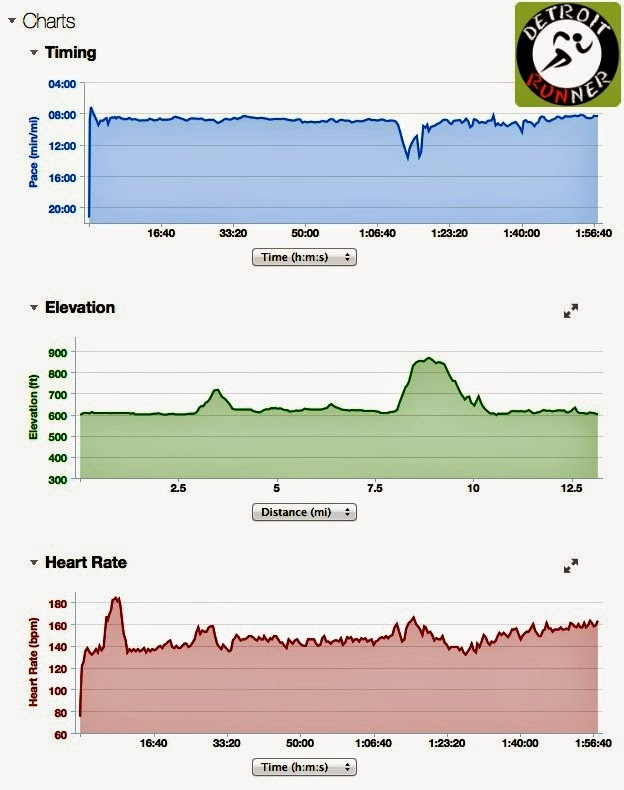 This was a tough elevation and one of the largest hills I've ever run. My goal was to keep my 1/2 road marathon sub two hour streak alive and I was able to accomplish that(just barely). The weather could not have been better for a late June race. 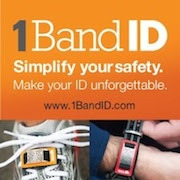 Registration was very easy as the race company has their own website and within minutes I was registered. Total cost was $57 and they don't charge any online fees which is great! My running buddy, Kevin and I, decided to make our way over to Glen Arbor on Friday evening to get our race packet since it was an early start with the half starting at 7am. The packet pickup was at the Glen Arbor fire station and it literally took two minutes to get our packet. The fire department had a piece of the twin towers outside their station which was very moving to see. After pickup we decided to drive the course. It's a nice course around the lake and while it does not have lake views the entire time, we could see the lake in parts. We also got to see the huge hill at mile eight. It scared us! Hah! The view from the top was incredible. After the course preview, we drove into Traverse City to eat and ended up at Mackinaw Brewing Company for a little carb loading. From there we went back to my cottage in Gaylord to get some sleep since it was going to be an early morning. We had a really early start the next day since the race started at 7am. We were set to get up at 4am! It was freaking early but it took almost 2 hours to get over there so we had no choice. We figured we would get a nap in later in the day so there were no worries. We got there about a half hour before the start of the race and the race was getting things together. There were only a couple hundred running the half marathon so we was a pretty relaxed starting area. Things were very organized, they had plenty of port-o-potties and just a few minutes before the races, we got lined up and ready to run. I love running smaller races like this. The course had over 400 ft of elevation gain so you could say that it was a hilly course. I was feeling pretty good so I was able to keep my pace fairly strong. I knew I was going to need to bank some time because that hill at mile 8 was going to kill me. As you can see by the splits, I was right and was significantly slower in that mile than any other mile since I had to walk part of the hill as most runners I saw there were doing as well. I was able to recover pretty well and actually ran my fastest mile of the race in the last mile. 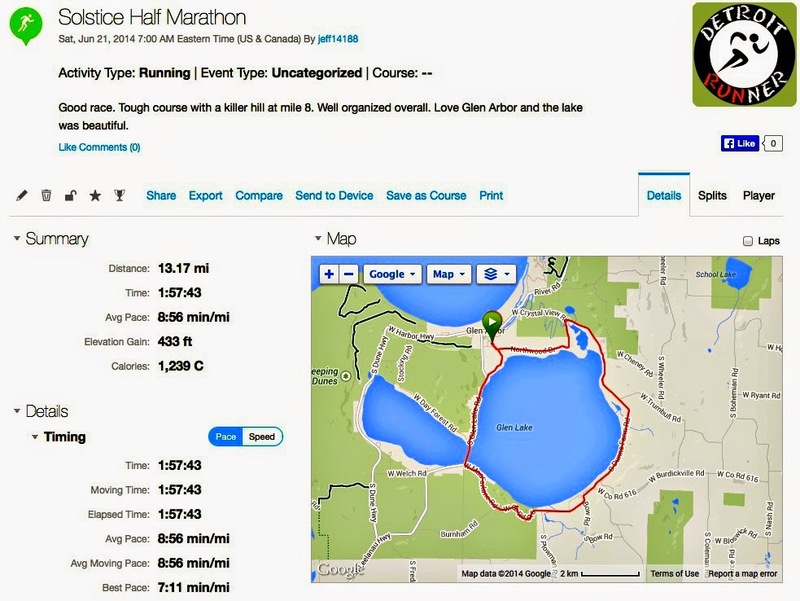 While the course map looks like you would see water all the time, you don't see it the entire race but there are parts when you can see some of it and then there are parts where you get some awesome views of the lake. The Glen Arbor area is a really nice area to run but does have some hills too. The course was really well marked with arrows pointing our way. There were hardly any course marshals out on the course and we only saw a couple police for the main intersections Probably an advantage when there is only a few hundred runners and it's in Northern Michigan with less cars around. The course had a nice size hill a little after mile three. We also got some nice views of the lake in this area too. You can see more hills coming up below. Most of the road we ran on were major roads that were open to cars so you needed to stay on the left side and watch traffic. Many of the roads had large curves like you see below. As we passed the car below, there was a little girl cheering for runners which was really cute. It was fairly overcast at the start. When we got several miles in, the sun started coming out which was nice. It was not hot at all so we really got lucky this weekend. It looked like it was going to rain later but it never did rain during the race. After the Sleeping Bear half last October(it was pouring), I was happy it didn't rain on us. Even though we got to see the big hill at mile eight, it was insane running it. Yikes! It was the longest and tallest hill I've ever run in a race. Yeah, we don't have that many hills in Michigan so this was one of the big ones for me. Our prize was at the top. There were volunteers there cheering runners with cow bells and an aid station too but we got to see that great view of the lake we stopped at yesterday. It was a really fun part of the race. We continued to see parts of the lake as the last few miles were better views of the lake. Some of the homes around the lake were awesome! One of the best parts of the race were when we passed a bridge where you could see both sides of the lake. You also got an awesome view of the Sleeping Bear dunes and I got lucky and got a nice picture of it while I was running. While there were not many spectators, there were some driving around and honking and screaming out the windows. Mile 11 also had some of the prettiest views I've ever had in a race too as you were coming around the corner. If you've run Bayshore, it gave you some of that feeling but, of course, there were not as much lake views on this course. I was getting a little worried about meeting my goal of sub two hour so I picked up the pace the last couple miles to make sure I got it. Fortunately, the elevation was back to flat so I could go faster even though that hill took some steam out of me. As we ran mile 12, we had to run down the left and as traffic cleared(which there was not much), we crossed the street to get to the next turn in the race. You can see in the photo below that some runners had already crossed the street. There was a course marshal near the end where we needed to go to help keep us going the right way as well. One more turn and we turned onto the street where we could see the finish line far down the road. There was maybe a few dozen people at the finish cheering all the runners on and because I finished alone, I got a nice cheer from the people there which was a nice feeling. 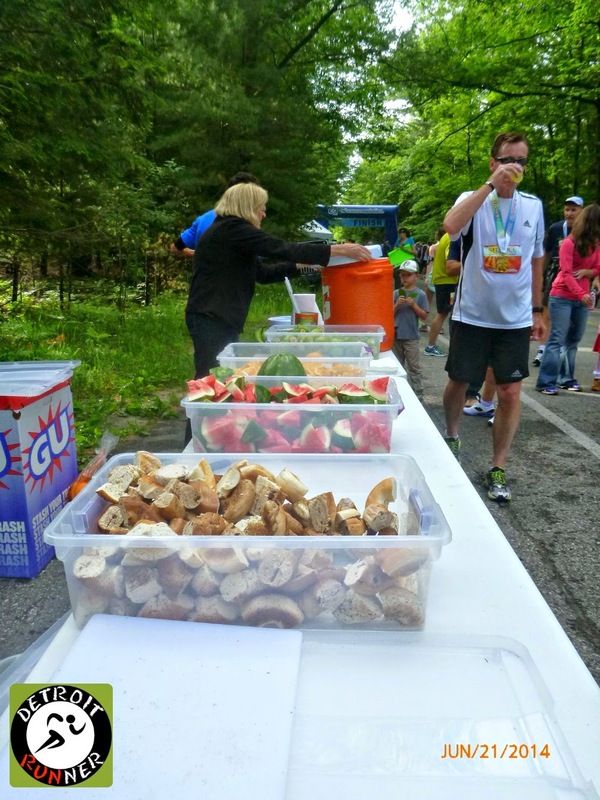 The aid stations were well stocked with Gatodade, water and they had GU at the aid station at the big hill. 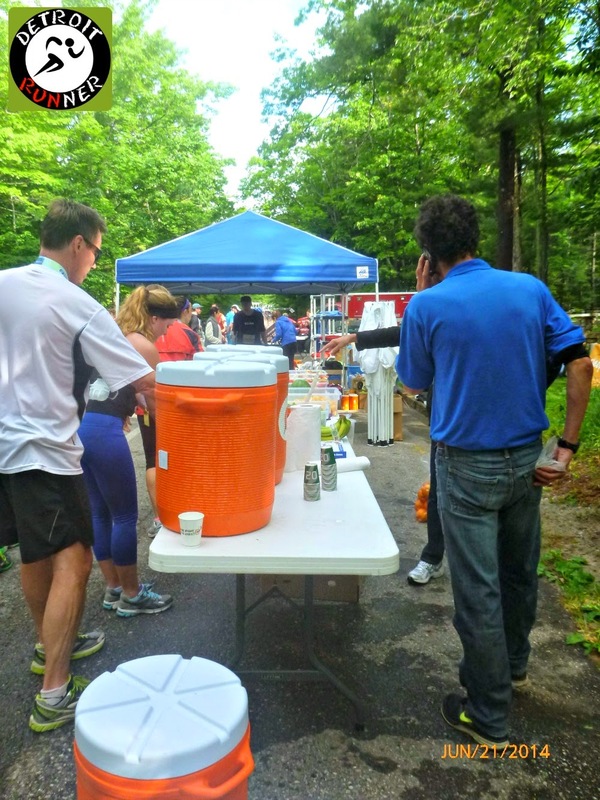 They had several volunteers at each aid station and all of them did a great job helping us! There was plenty of stuff for all the runners. 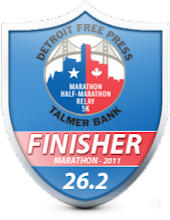 After finishing, you would get your race medal and there was finish line good. It was your fairly standard fair of bananas(although they were not ripe to eat), orange slices, and bagel pieces. They also offered watermelon and was a nice treat after the race and something different. The race was also selling shirts and sweatshirts with the race logo on it. Had I knew, I would have brought some money to buy a shirt since they had a nice cotton one I wanted. Alas, I didn't feel like walking back to the car to get money so I just skipped it. I paid $57 for the half which was a reasonable price. For that, you got a well marked course with course support on the aid stations. The course was open completely to traffic which always makes me nervous but they did have police support in areas and there is not a lot of traffics at 7am in Northern Michigan. 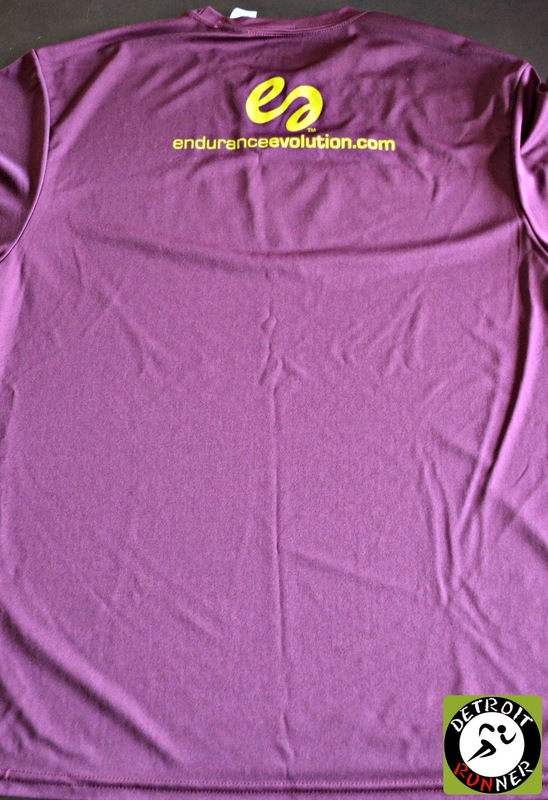 You also received a race tech shirt. This one only has the race name on the back which is nice not to see a ton of sponsors on it. It's made by A4 and unfortunately these shirts are not very breathable so they're not good for running. In addition, they are almost always too big and this was a large as well. I would prefer it if every race would buy brooks shirts because they size correctly and they are good quality. At the very least, it would be nice for the website to mention the brand so you can choose accordingly. Since Sleeping Bear had Leslie Jordan, I figured they would be the same but were not. 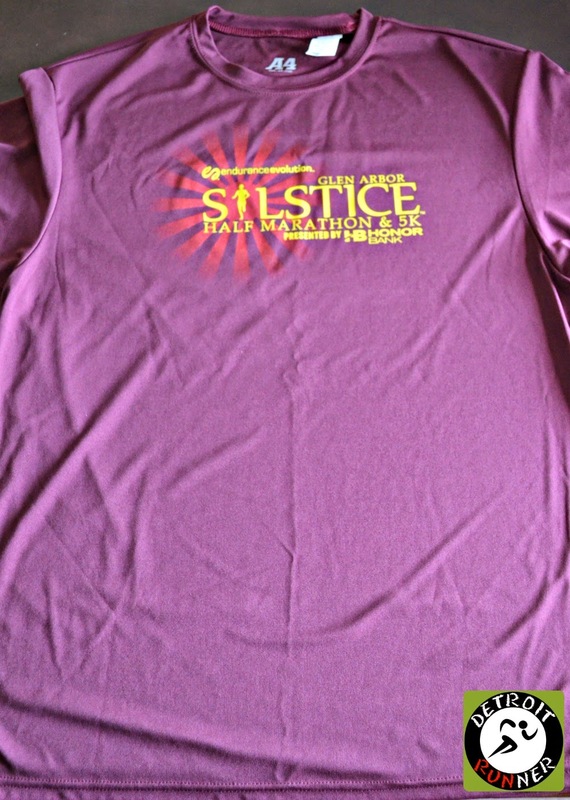 The shirts are a billboard for races so it's important to get shirts people will wear. This shirt will get used when I bike so I do like them for that. In fact, I've already used it for a ride. I do like the color since it's something I don't have. You also received a nice medal with a custom ribbon too. I like the bigger medal of their Sleeping Bear race but this was good as well. The bib is also a nice custom bib with the race name. The organization was good. They had clear instructions on their website with answers to your questions. The start area was set up nicely as well as the finish area which was the same. The course was well mapped and the distance was accurate as we past mile markers. They should have never served bananas that were not ripe but, other than that, it was organized by a experienced race company. Overall, it was a great race. It was a challenging course and had some great views. This is a great race to run if you are looking for a nice weekend away as I did for it. The Glen Arbor area and the town is a nice area and it's nice and close to Traverse City too. It's fun to say you ran around Glen Lake. The race was well run and you were informed of any changes that occurred. While I enjoyed the race, I'm not sure I'd run it again but not because it wasn't a good race. The only reason I might not run it again is that it's a whole weekend away and I'd like to get in a variety of new races if I'm going to go out of town. 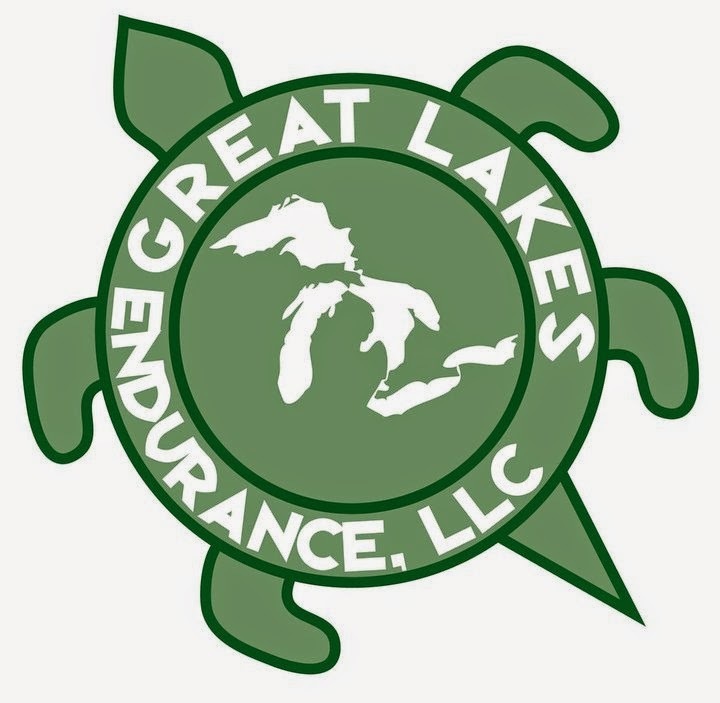 Since I'm getting into trail running, I think I'd like to run the race company's trail race in April, the Traverse City Trail Running Festival. I will be back for more of their races since they go a great job. Note: Race entry was paid with my own funds. All opinions are my own. 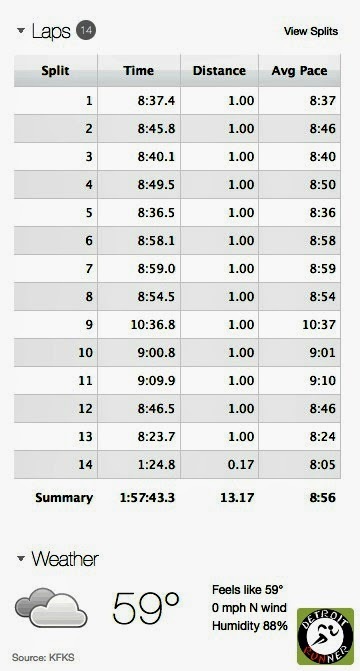 Looks like a good race, love running around things, and if there is a hill in the way, so be it... now it looks like a sub 2 is as easy as it gets for you, time to up the game and start running sub 1:50's with ease!!! Thanks for the report! I LOVE Glen Arbor, so this is one to add to my bucket list! This was a favorite of mine! So pretty!